NEW PRICE-JUST REDUCED!! Upbeat & In the Middle of it all! Home is within walking distance of Fine Dining, Shopping, Nightlight, Spring Training & so much more! Newly upgraded w/wood-plank tile flooring, large tiled patio, modern stackstone fireplace,, Master Shower subway tile w/ glass shower door & Brand New AC Unit! Light & Bright w/ Vaulted ceilings! Split Master Bedrooms- both w/access to Patio! Large walk in Closets! Functional open floorplan! Covered South facing balcony make it Perfect for All Entertaining! Gourmet Kitchen w/ SS Appliances & Gas Cooking! RARE 1 Car Garage & Full size Washer/Dryer in Unit! Gated Community offers Resort Style Pool/Spa, Workout facility & community room! 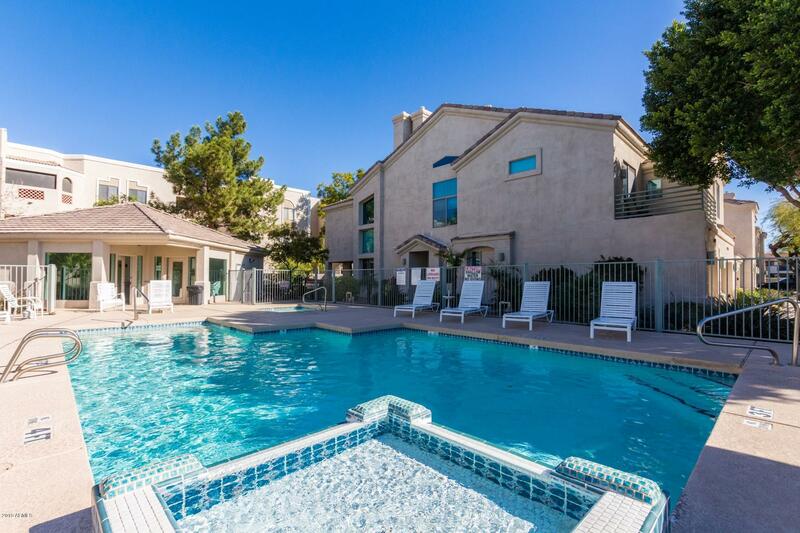 Perfect Winter Lock & Leave Condo in Prime Downtown Scottsdale Location! Priced to Sell!